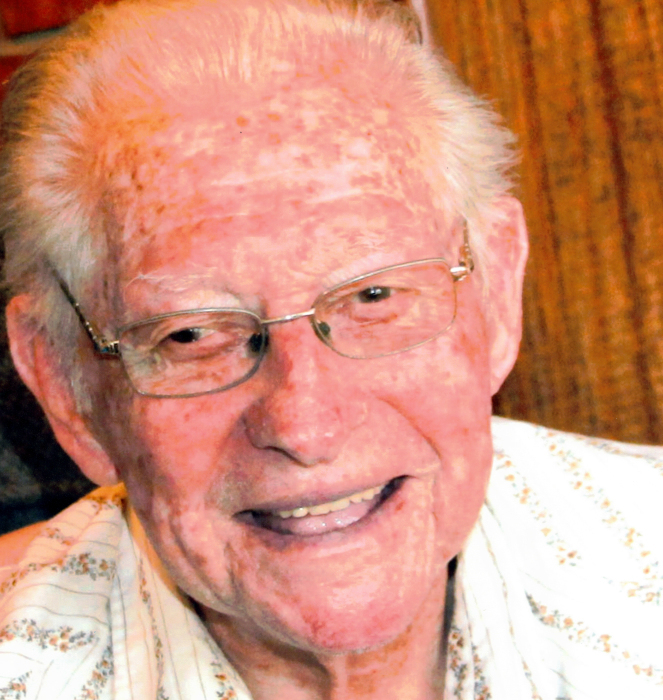 Obituary for Henry Terrel Wise | Jones Funeral Home, Inc.
Henry Terrel Wise, age 94, of Crossett passed away on April 21, 2018 at Stonegate Villa Health & Rehab. He was born on November 19, 1923 in Bastrop, LA to his parents, Henry W. and Sallie Pearl Joiner Wise. He joined the Army in July 1943 and was discharged in January 1946. He served with the 172 Engineer Combat Batallion, which was also called the Famous Aces Natural Duce. They served in Northern France, Ardenees, Rhineland and Central Europe. He went to work at the Crossett Company in 1952 and retired in 1985. He and his wife, Iris Virginia Wise enjoyed camping on the river and lakes in south Arkansas. He is preceded in death by his parents, his wife of 64 years, an infant son, Roger Dale Wise, a brother, Gordon “Faddie” Wise, and four sisters, Margie Wise Johnston, Cecile Wise Hanson, Precious Wise Hughes and Margerete Wise Sutton. Survivors include: two sons, Darrell R. Wise (Elsie Martin Wise) and Gorden Terry Wise, both of Crossett, AR; two grandsons, Tracy R. Wise (Kristy),and Brandon Wise; one granddaughter, Paula R. Netherland (Wynn); four great-grandchildren, Jonathan and Matt Wise and Emmy and Reagan Netherland; and one sister, Lois Wise Underwood. Graveside service will be held at 10:00 a.m., Monday, April 23, 2018 at Stevenson Cemetery in Beekman, LA under the direction of Jones Funeral Home of Crossett, AR. (www.jonesservice.com) Pallbearers are Tracy Wise, Jonathan Wise, Matthew Wise, Darrell Wise, Wynn Netherland and Rusty Atchison. Honorary Pallbearers are Ray Hughes and Gene Underwood. Visitation will be held from 2:00-4:00 p.m., Sunday, April 22, 2018 at Jones Funeral Home Chapel.